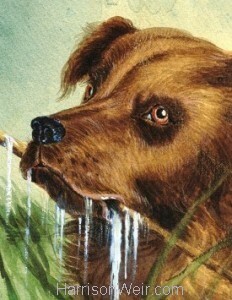 This iconic image of a Newfoundland dog has featured several times during the artistic career of Harrison Weir. 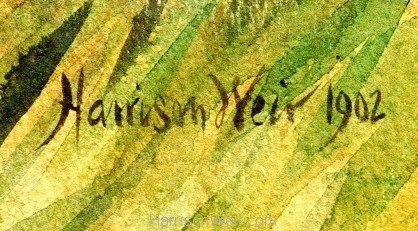 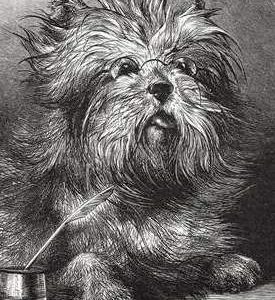 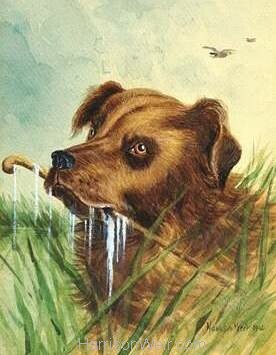 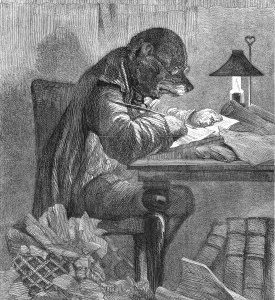 An early rendition saw it published firstly in 1863 in “Our Dumb Companions” where it was entitled “The Dog that ran away with the brushes”, then an altered (re-engraved) version appeared on the front page of “Harpers Weekly” in 1867, and simply renamed “A Dogs Head.”(by Harrison Weir). 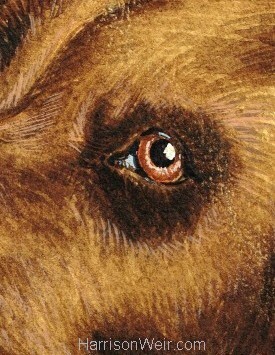 It later then reappeared in “The Animal World” as “The Queen’s Favourite” in 1902, some 39 years after the initial engraving. 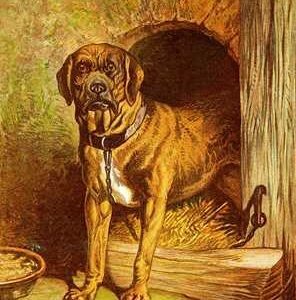 This version is the rarest, a Water-Colour original, painted probably around the same time as “The Queen’s Favourite” as it is also dated 1902, and very probably done after Harrison had completed that mammoth work, “The Poultry Book”. We were fortunate in being able to recently acquire the original painting for the Collection. Now available for you to enjoy also, in A4 and A3 sizing options. 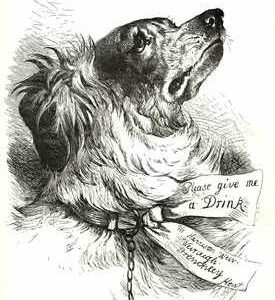 1880 – Please Give Me A Drink..